...my seller would sell for millions of dollars! Sadly this won't be the case as the home is known tongue and cheek, as a bit of a PIG!! For sale via "Openn Negotiation" (flexible buying term online auction) culminating, if not sold before, on Wednesday 1st May 2019 @ 18.00pm (WA time). The auction has commenced and the property can sell anytime. Contact the sales agent immediately to become qualified. The location, however, is amazing - situated in Jacaranda Springs Estate, dotted with pretty Norfolk Pine Trees that lead to the tranquil 'Pinaster Boulevard Reserve' which has marvelously manicured grounds with a kiddies playground and a stunning lake that the home sits proudly adjacent to. This 2004 built home is a comparatively large 4x2, with 173sqm of living which enjoys a private outdoor alfresco area with extensive paving and a gabled patio. 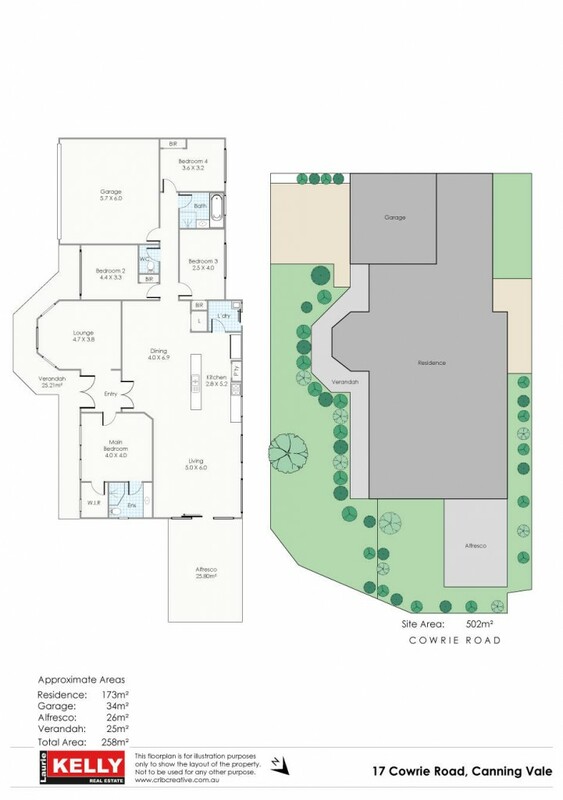 The floorplan provides great separation with a dedicated living room (the perfect theatre room), a central kitchen that feeds onto a casual living area opening onto the alfresco area and dining zone. The master bedroom suite has a walk in robe and ensuite with bedrooms 2, 3 and 4 at the opposite end of the home divided by the main bathroom which has a seperate bath and shower recess. A double lock up garage with internal access to the home via the shoppers door entry maintains security along with an alarm system. It is all wrapped up on a 502sqm block. The existing tenant is on a periodic lease which is perfect if you are looking to lay down your roots and bring this home back to it former glory, or alternatively purchase as an investment given the tenants willingness to extend and stay on. Whatever you choose, my overseas owner will relinquish this property forthwith so get involved before it sells! It has been recently endorsed as "structurally sound" via an independent building inspector, report available upon request. We have no internal photos. You will need to inspect the home in person to see for yourself. Any other queries, contact Kim Findlay on 0404 461 174.